You’ve probably heard the term “employee voice” a lot lately. The employee engagement landscape is shifting, and strategic HR pros are looking for more agile tools that allow them to tap into the value of their most important asset: their people. That’s a worthwhile goal. On average, American workers will spend 90,000 hours of their lives at work. Don’t they deserve to know they are dedicating that time to an organization that leverages and values their insights? Employee voice can be defined as an opportunity for employees to have a true stake in organizational performance by expressing their views to leaders who really listen. Employee voice is a chance to consider every employer’s perspective when making decisions that will influence business outcomes. Embracing the concept of employee voice is not enough on its own to make meaningful change at an organizational level. Leaders who see the biggest return go further: They decentralize information and shift from top-down leadership dictation to team-led accountability. These leaders regularly ask questions that matter and create collaborative action plans that transform feedback into positive change. Leaders must go beyond simply measuring engagement. They need to improve employee engagement, build healthier cultures, launch important internal transformation initiatives that succeed, and achieve operational excellence. Replacing or augmenting a traditional engagement program with an employee-voice-oriented program is a vital, if daunting, part of meeting these needs. But how does an organization get started when it comes to embracing employee voice? First, leaders need to learn how to have conversations with their teams at scale, and they must create replicable processes that incorporate feedback into real action plans. It takes time to build these skills and processes, and consistency is important. Employee voice advocate Matthew Gosney is the vice president of organizational development and learning services at the not-for-profit healthcare system UCHealth. In 2017, UCHealth replaced its annual engagement survey with employee voice platform Waggl and committed to a new model of continuous conversation. UCHealth’s new approach has been a resounding success, moving many onlookers to wonder what exactly the company did to get it right. 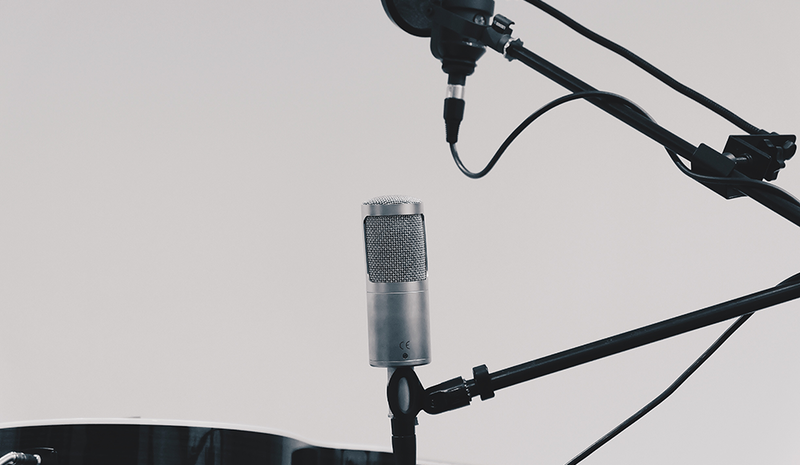 As it turns out, embracing employee voice is simple when you have the right platform. A 50-question survey allows for depth and data, but how many of the questions actually address things your people care about? Lean into the conversations you know are happening around the water cooler. Ask the important questions that are already on your employees’ minds. At UCHealth, leaders engage their teams in results summits the day after a survey closes to discuss the information that has surfaced. Together, leaders and teams review crowdsourced responses and engaged in conversation about the results to identify strengths, opportunities, and action plans. They decide what to start, what to continue, and what to stop doing based on the surveys’ findings. It helps to have an employee voice platform that allows for crowdsourced ranking of ideas, as this makes prioritization of topics easy. Employees should also have the ability to respond anonymously, as this allows them to share their thoughts without worry of backlash. In turn, leaders see transparent results, which puts the appropriate pressure on them to identify the 1-2 key action steps that must be taken next. A key component of UCHealth’s employee voice program is enabling leaders and teams to hold themselves accountable without HR needing to constantly follow up. A brief, two-question check-in survey 2-4 weeks after the initial conversation gives visibility into which tasks are on track and which are not. These small check-ins guarantee success by simply continuing the conversation. When we consider UCHealth’s model, it becomes easy to draw a distinction between the employee voice approach and more typical engagement processes. Annual engagement surveys — and even more frequent surveys — that don’t actively promote transparency and crowdsourcing in real-time do not go far enough, fast enough. 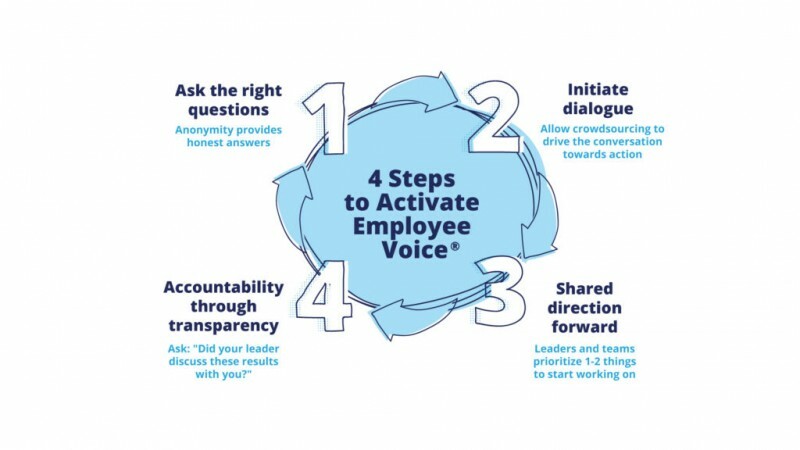 As the business landscape continues to shift and industries are disrupted at unprecedented rates, employee voice offers organizations the agility they need to stay ahead of the curve.